This was my submission for the Create Art History challenge hosted by both RedBubble and the State Library Victoria in Australia. Which is of a dragon and flower hybrid fantasy creature. The due date for all entries was 29th October 16:59pm. Before I even started my piece I needed to choose from three different themes and their collection of art pieces associated with them to act as inspiration. The three themes were Magic, Weird & Wonderful Creatures and Botanical. Taking this in mind my piece was inspired by the combination of the ‘Dragon’ (Peter van der Aa) from the Weird & Wonderful Creatures collection and the ‘Strelitzia’ (William Curtis) from the Botanical collection respectively. 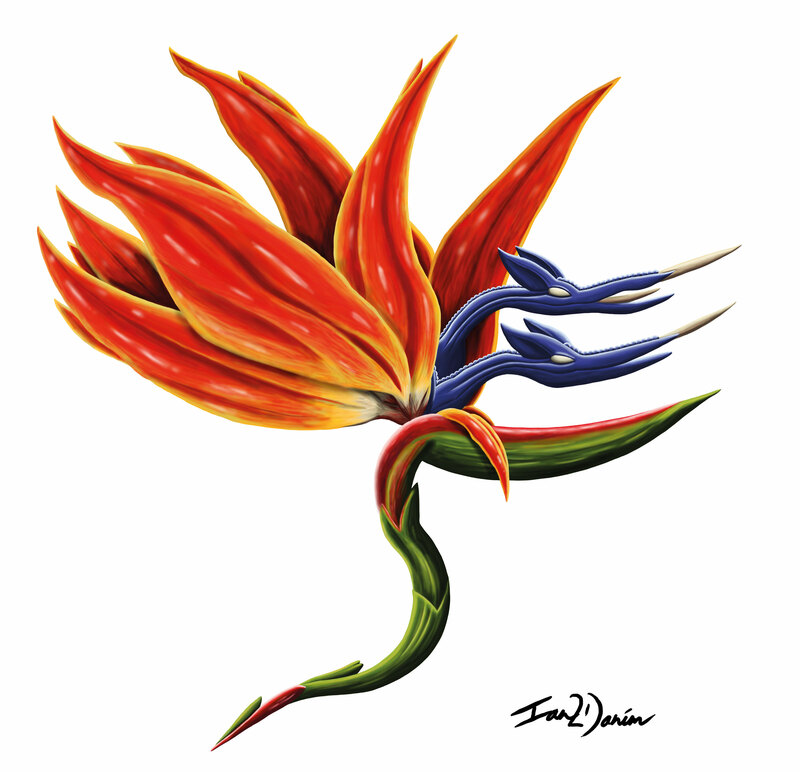 The two heads of the dragons are made up from all the parts of the blue flowers from the Strelitzia. Whilst the reddish orange flower petals make up the wings of the dragon. The stem is the remaining parts of the dragons body and tail.